AWA’s Spring workshops will introduce students ages 7 - 11 to key concepts in Ecoliteracy through placed based learning adventures. Continuing from our Litter Hunt environmental action and drawing session, this workshop introduced students to plastics in the marine environment. Through exploring current examples of global and local locations affected by ocean litter students learnt about the process of photodegradation and the impacts micro and nano plastics have on marine and costal life. The workshop concluded with a collage making session, where student reflected on the impact ocean or beach litter had on local and global ecosystems. 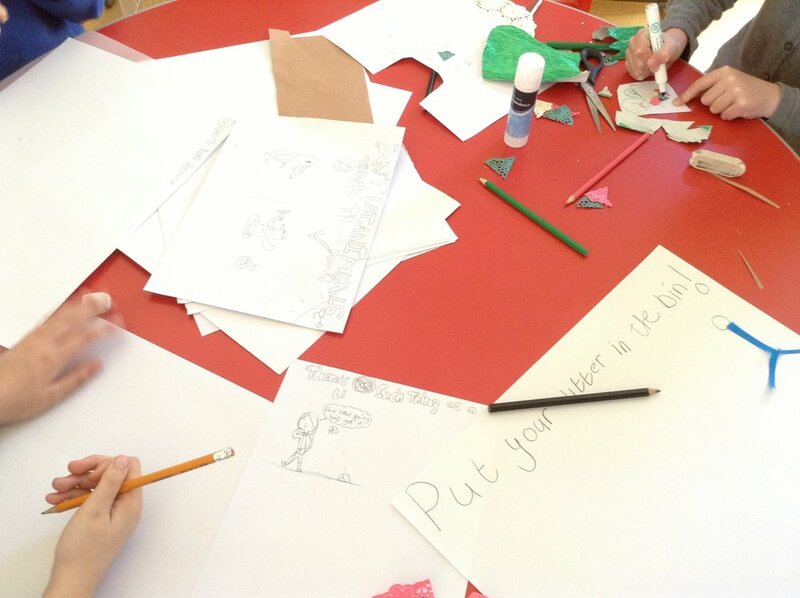 Many of our students produced messages/stories which aimed to educate the public about the importance of picking up Litter in order to protect marine life. The AWA team look forward to facilitating the development of a campaign on beach litter which will be lead by the Children of Gigah over the summer of 2017.